We're back at one of our favorite places to play - Gotham City Improv. It's BYOB so bring a couple cold ones to enjoy or unselfishly share (if you're into that). Come see what's most likely our last show of the year. More details and guest announcements coming later. 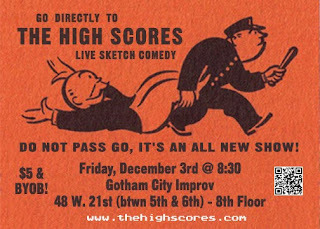 Improv/sketch team BOAT will be joining us. Along with stand-up shenanigans from Darcy Burke!